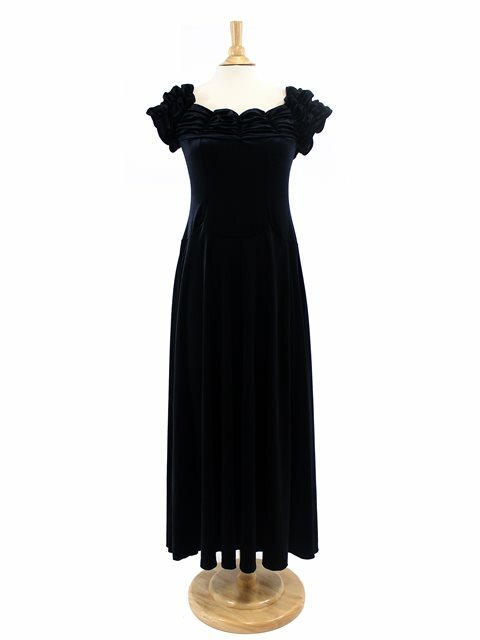 This Velvet Dress is great for on-stage performances and parties! Recommended as formal wear for its very sophisticated and elegant finish. ※The Size Chart is the Measurement of the Dress. (Actual measurements may be 1-2 inches different.) ※Bust size is measured from under the armpit. This fabric may stretch out when hang-drying due to its elasticity. We recommend you do not hang the fabric on hangers, and store it in drawers or otherwise.The fabric often does not wrinkle, but, in cases when it does, do NOT iron the fabric, but instead hang it up during a hot bath/shower in the bathroom, and the steam and moisture will remove them.